Everyone is invited! No need to sign up! This Friday, January 27th is our guild's Sew-In Day. 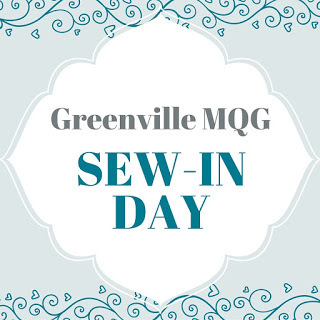 Join your fellow guild members, bring your own project and enjoy some fun, social sewing time. The Sew-In is at our meeting location - the Bernina Sewing Center. We'll be there from 10-4, but feel free to come for a few minutes or the entire 6 hours. Don't forget to bring your lunch! We ask that you purchase a half yard of fabric from the store to be given away to one lucky participant. We are excited about 2017!